The 6 days Uganda Safari to Mount Elgon and Kidepo Valley National Park offers you the best mixed experience of hiking and game viewing. The safari gives you the opportunity to hike Mt Elgon which has the largest volcanic base in the world and it is also the oldest and largest solitary, volcanic mountain in East Africa. Mount Elgon National Park is home to over 300 species of birds, including the endangered Lammergeyer. Small antelopes, forest monkeys, elephants and buffalos also live on the mountainside. The safari will highly reward you because you will have that one chance to climb on Mt. Elgon’s deserted moorlands which unveils a magnificent and uncluttered wilderness without the summit-oriented approach common to many mountains. the ultimate goal on reaching the top of Mt. Elgon is not the final ascent to the 4321m Wagagai Peak, but the descent into the vast 40km² caldera. 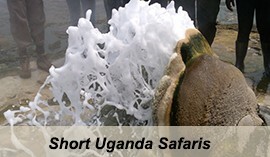 In addition, the safari tour enables you to visit Uganda’s most isolated national park, but the most magnificent, Africa’s finest wildernesses park. 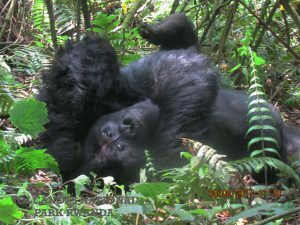 You will chance to view the most exciting faunas of Kidepo national park. Along with the neighboring Karamoja region, Kidepo houses many species found nowhere else in Uganda, including the greater and lesser kudu, eland and cheetah. Carnivores here include the lion, leopard, spotted hyena and black-backed and side-striped jackals. The regular wildlife you can seen here are elephant, Burchell’s zebra, bushpig, warthog, Rothschild’s giraffe, Cape buffalo, bushbuck, bushduiker, Defassa waterbuck, Bohor reedbuck, Jackson’s hartebeest and oribi. Day 1 of 6 days Uganda Safari to Mount Elgon and Kidepo Valley National Park: Drive transfer from Kampala to Mountain Elgon National Park (Drive distance of 255Km). After your early morning breakfast in your Kampala lodge, you will be picked up by our company driver guide from your place of stay. He will brief you how the safari will be and afterwards, you will embark on transfer drive with him from Kampala to Mountain Elgon National park in the Eastern part of Uganda. You will drive to Mbale via Jinja and Tirinyi which is about 255km 3-4 hours. The drive journey to Mt.Elgon is very interesting because it will take you through the beautiful ever green Mabira forest where you can have short stopover to enjoy the views of different unique tree species, you can also have chance to see some primate species such as monkeys. After wards you will continue your drive via the beautiful lugazi tea plantations, sugar plantations. After 80 kilometer drive, you will arrive in Jinja where the source of the River Nile is found and here you will enjoy the wonderful views of the Owen falls dam which is strategically located along the route to Mbale. 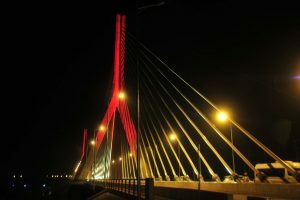 You will also traverse through the farmed lands between Jinja and Iganga town and the Journey continues through Mpologama River one of the outstanding tributaries to Lake Kyoga. The scenic drive will take you through Tirinyi and finally Mbale main town where you can start enjoying the views of the stunning mountain Elgon and here you will have stopover for Lunch at Mount Elgon Hotel in Mbale. After lunch, you will get back to your vehicle and proceed with distance drive of 30 kilometers drive to the park’s Budadiri area. 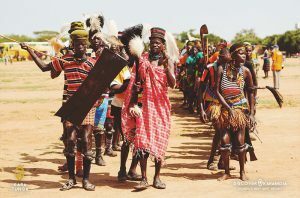 On arrival at the park, you will drive direct to your lodge to check-in, relax after which you will undertake a cultural tour of the surrounding tribal community. 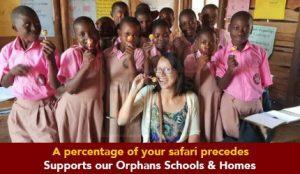 Mbale Resort (Upmarket/Luxury), Mount Elgon Hotel (Mid-range/Standard) or Kapkwai Forest Cottages (Budget/Basic). 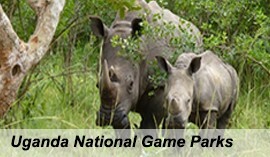 After breakfast, embark on the transfer to Kidepo Valley National Park in the north east of Uganda. The drive takes you through impressive landscapes of Nakapiripirit, Moroto and Kotido. The sights in Pian Upe Game reserve are also rewarding. Continue to Kaboong for relaxation and overnight. 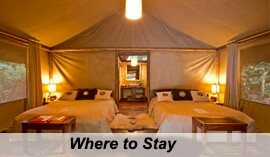 Apoka Safari Lodge (Upmarket/Luxury), Nga’moru Wilderness (Mid-range/Standard) or Apoka Rest Camp (Budget/Basic). Immediately after your early morning breakfast, you will embark on the rewarding game drive in Kidepo Valley National Park in search for to the early risers such as lions, and leopards, Bat-eared Fox, Stripped Hyena, Cheetah, Caracal Lesser, Greater Kudu, Roan Antelope, Besia Oryx, Eland, Defassa Waterbuck and Ostriches among other wild life. After wonderful game drive, you will drive back to your lodge for relaxation and in the afternoon, you will embark on the community tour of the Karomojong people exploring their impressive Manyattas, art and craft, native people, livestock and their entire traditions. Retire for dinner and overnight. After breakfast, embark on another drive through the park extending to the Kidepo Valley and through the Narus valley exploring the park in detail and gaining chances of encountering more wild game. Return from the activity and embark on the transfer to Kitgum for relaxation and overnight. After your early morning breakfast, you will depart Kitgum drive back to Kampala. 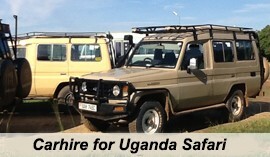 You will drive through Gulu and proceed with the journey to Kampala arriving in the evening.